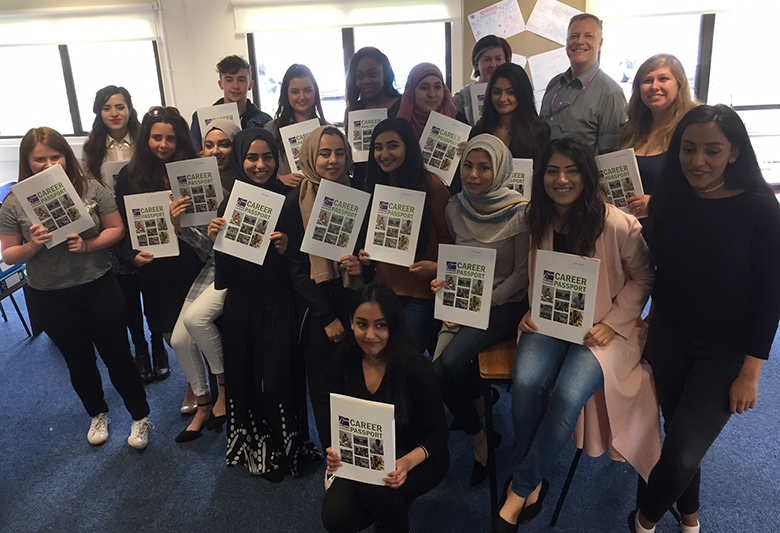 Health & Social Care students from The Sixth Form College, Solihull are a step closer to their dream job thanks to completing the College’s Career Passport scheme. Students on the BTEC Health & Social Care course are required to carry out work placements as part of their course and 18 students completed 100 hours of work to claim a Gold Career Passport. The Career Passport scheme is unique to the College and encourages students to develop skills that employers are looking for by facilitating them to complete work placements, internships and volunteering. It invites students to complete self-assessment activities at the start of the programme, so they know which skills they need to improve. Learners on the BTEC Health & Social Care course have undertaken placements in health, social care and early years settings. Part of their work placement is to build a portfolio demonstrating the development of their employability skills, experience that could be implemented in the world of work in the future. A good example of their scheme in action is student Samantha Butterworth, who carried out a work placement at Playpals Childcare Centre. She did so well that she has been offered and has accepted part-time employment at the organisation.